Old musterers hut on the Old Man Range / Kopuwai. Waikaia Bush Road. 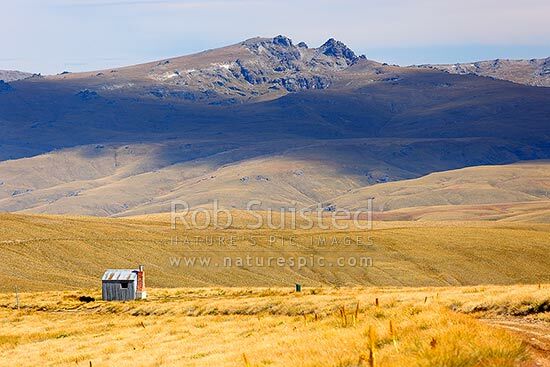 Rocky Mount (1885m) behind, Alexandra, Central Otago District, Otago Region, New Zealand (NZ), stock photo.